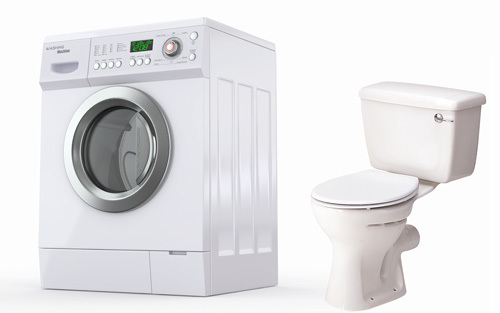 Since 2006, the Greeley Water Conservation Program has offered rebates on toilets and high-efficiency clothes washers. The program for indoor residential rebates will be discontinued in 2019. This change is due to efficiency in products, statewide regulations, and waning interest in Greeley’s indoor rebate programs. A program that pairs well with the rebate program is water conservation audits. “This November is a great time to sign up for an indoor water audit, as our staff can make personalized recommendations on upgrades to your home, while still being able to participate in the rebate program,” Quade said. Please call 970-336-4228 to schedule an indoor water audit. More information and an online sign-up form are available at greeleygov.com/audits. The deadline for the 2018 program is approaching. Products must be purchased between January 1, 2018, and December 31, 2018, and all applications must be submitted before January 15, 2019. Only City of Greeley water customers are eligible to participate. A complete list of program rules and application materials, are at greeleygov.com/rebates or call 970-350-9874 for more information. Rebates for irrigation equipment such as smart controllers, pressure-reducing valves, and rotary nozzles will continue in 2019. In addition, rebates for commercial customers are still going to be available.